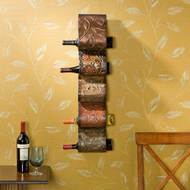 A wall mounted wine rack is a great way to save space while providing wine storage in your home. 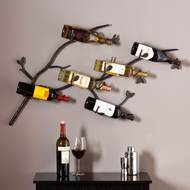 Some racks are even designed to be used as pieces of wall art! 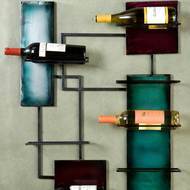 This is a perfect idea when you are short on space, or are just looking for unique wall decor! 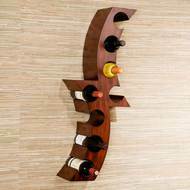 Perfect for a dining room, kitchen or living room. Shown here are some of our favorites.